With Easter around the corner, here’s a cute option for all those eggs. 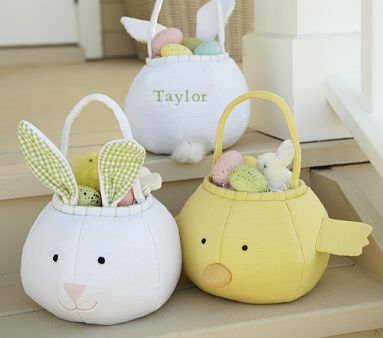 Pottery Barn Kids has a sweet puffy easter basket that’s just $12. The baskets, available in bunny or chick styles, feature a colorful gingham interior and sturdy handles for little hands. Customize your basket for an additional $6.50. Makes a great baby keepsake! Learn more at www.potterybarnkids.com.